1. Revere Pewter // This is one of our "go to" warm grays. 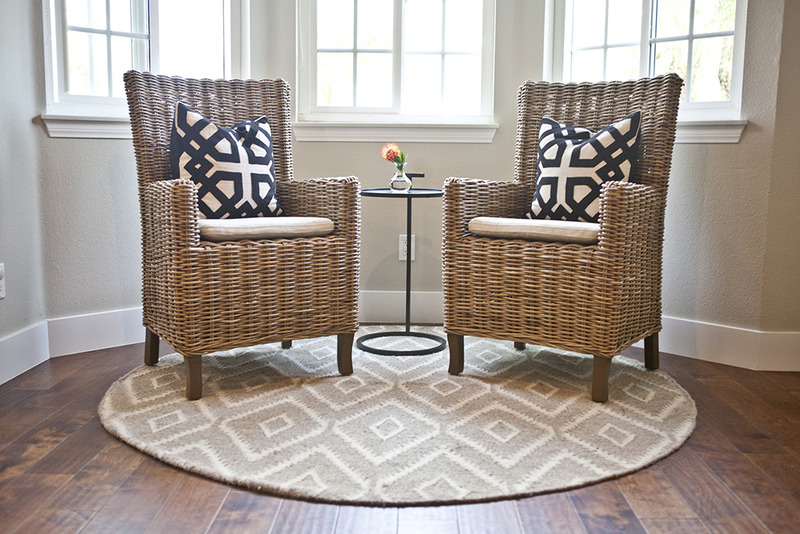 It looks great in rooms that are darker and rooms that have plenty of natural light. 2. Gray Huskie // We love this gray that is on the cooler side. It had a great pigment that is a medium gray. 3. Chelsea Gray // Love this dark gray! It has a bit of warmth but is dark and moody. We have used it as an island color or in a formal dining room. 4. Classic Gray // This is a perfect light gray. 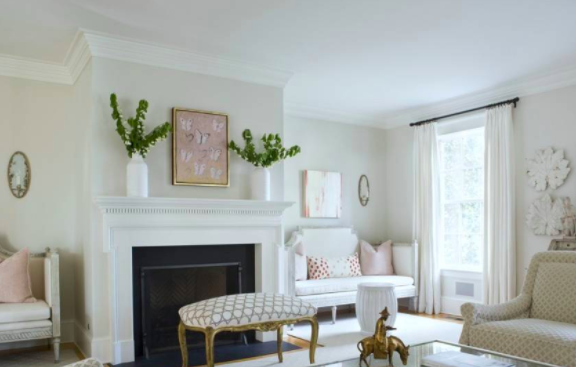 It is so fresh and crisp but still adds contrast against trim. 5. 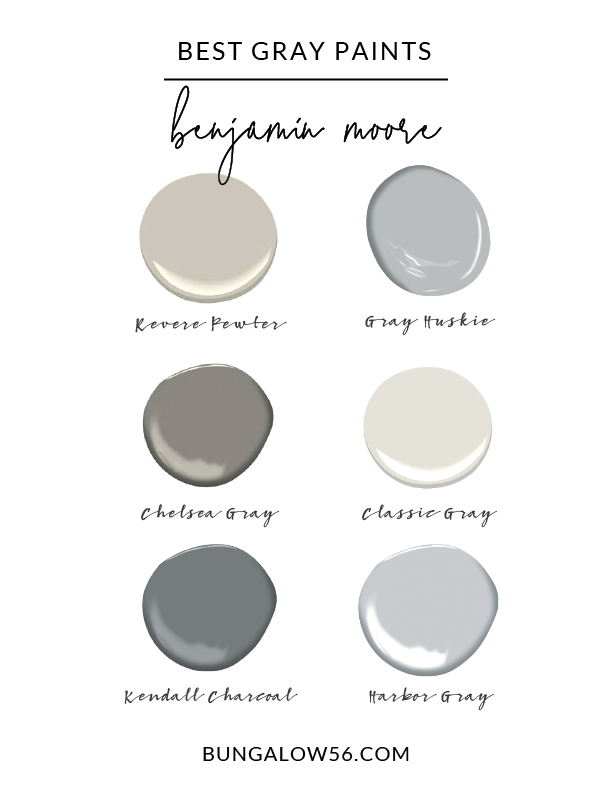 Kendall Charcoal // This deep, dark gray is perfect for contrasting lighter cabinets by grounding a kitchen island or as an accent wall behind a bed. Love the drama! 6. 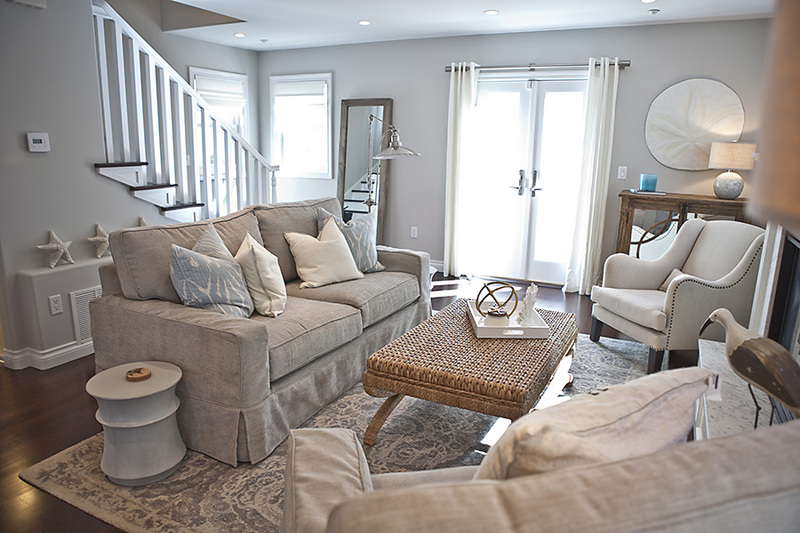 Harbor Gray // We love how light and airy this gray is but still has a bit of warmth. 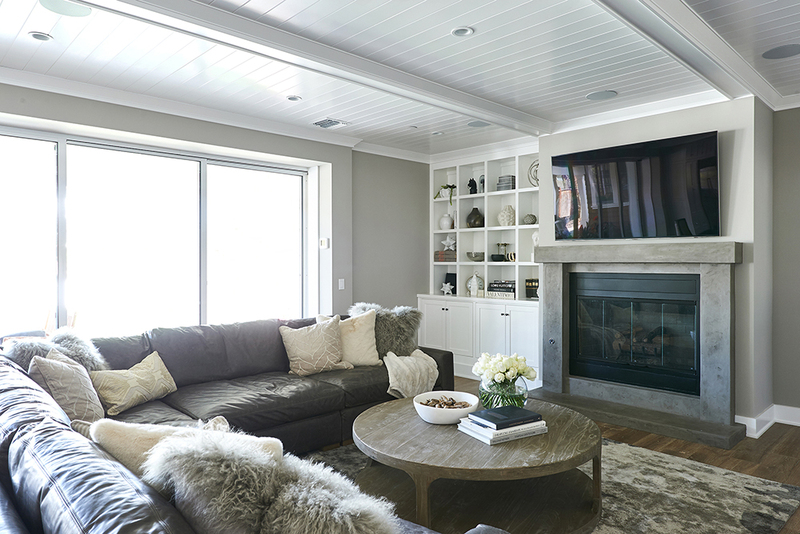 It is light enough that it doesn't overwhelm a room but really pops against a white trim and ceiling.